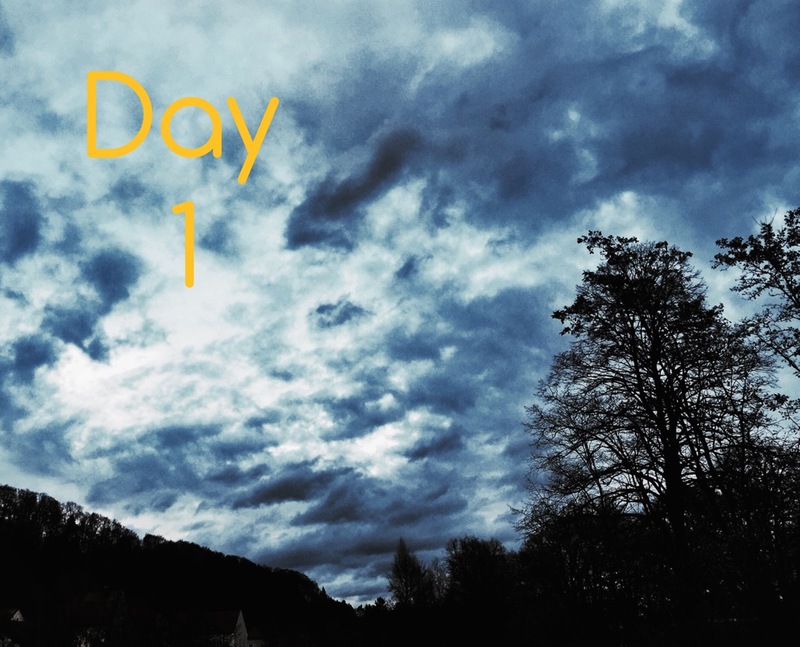 This challenge is to take a total of 24 photos at specific times of the day. You can take 1 photo at the same time for 24 days documenting a routine or location like monet and his haystacks. You can take 24 photos spanning the 24 hours over 24 days. I’m going to pick option 1 for my 24 photos and I look forward to seeing what option you choose. The photos can be raw or photoshopped. Use your snazzy camera or your iphone. I don’t care. I just want you to have 24 well composed photos. I will be using my iphone 6 plus for the full challenge. The photo above was taken yesterday when I visited Rainer Schmitten. He lives in the foothills of the alps and that is what the sky looked like yesterday. I want the photos to be a documentary of your preparation for the holiday season. No Stress. Lets just make some memories for the end of 2015. PS. After the holiday, starting on December 26th, we will be posting the 12 days of Christmas colouring pages. The themes will be used for a 12 day art challenge for drawings based on the ideas of the colouring pages. Have fun shooting photos! Don’t forget to share them with me on our Facebook page so I can collect them and add them to a gallery.